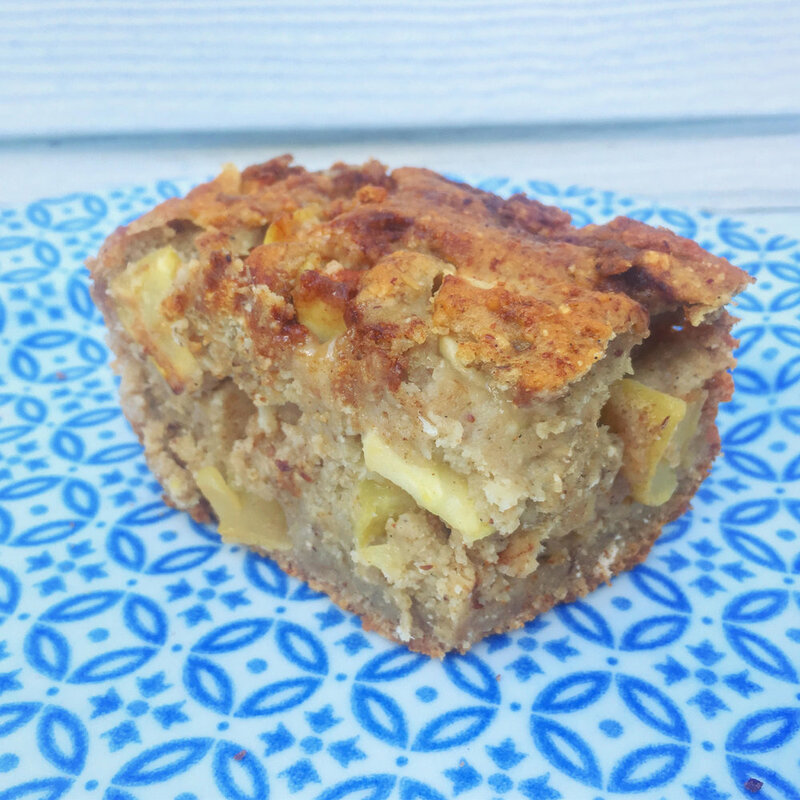 This recipe makes one delicious & guilt-free apple pie bread. You will feel full gratitude for life, for food, and for the planet. Don't you just love when food can do that? Awaken your senses and your present being? Am I being too emotional about this loaf of bread? I say guilt free in every way because its palm oil free, no refined sugars, no animal products being used to save resources and it feels way good for your soul. The apples are local and organic and all the ingredients I bought in bulk or had all recyclable and no plastic packaging! *Note: I use Pamela's Gluten Free Baking and Pancake mix (choose the non-dairy one for vegan) for most of my baking! I ordered the 25 lb. bag one because its the only one that comes in all paper and zero plastic. It has lasted me about 6 months and I'm only half way there so it's the best purchase ever! Mix together (I used my magic bullet) 2/3 cup sugar and coconut oil until blended and semi-fluffy. Then mix in apple sauce, chia eggs, and vanilla. Stir together flour and baking powder and then add flour and almond milk to mixture. Stir to combine and do not overmix. Pour half into greased and floured loaf pan. Sprinkle in 1/2 of the apples and 1/2 of the cinnamon mixture. Stir rest of the apples into the remaining batter and pour rest into pan. Top with the rest of the cinnamon mixture. Bake for 40-45 minutes or until top comes out golden brown and until knife comes out clean.